People often don’t understand the work that goes into an event. From hours of meetings during the planning stage to the sleepless nights getting everything in check during the run up to the event, any event organizer will understand that it’s far from an easy job. So imagine how devastated you would be if no one turned up on the day. That’s the difference between an event and an event with a well-planned marketing strategy. As an event organizer you’ll probably have a reasonable understanding of how marketing works. But being able to put together an in-depth, fully-integrated marketing campaign is something that’s often missing from events. Not to worry though. 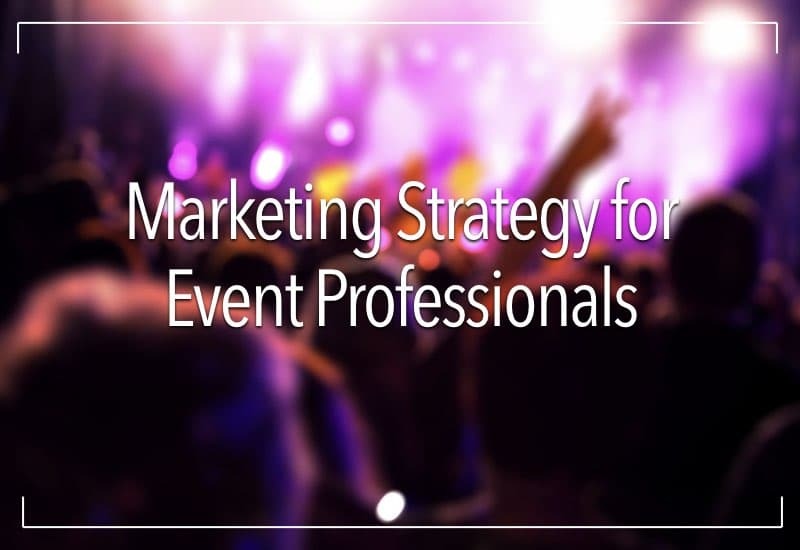 Here’s everything you need to put together a killer event marketing strategy. Obviously, you want to create a sense of excitement for your event, keeping any potential attendees engaged throughout the entire build up. There’s nothing more encouraging than seeing someone tweet about how excited they are, or even counting down the days until your event! But to do this you need to constantly be in front of your audience. And it can be difficult to achieve this without setting actionable goals. So instead of saying ‘I want my event to be a success’, you could say ‘I want to sell 250 tickets in the first two weeks of sales’. It’s also important to bear in mind that your goals may not just include selling tickets. You should also be thinking about using marketing to attracter higher quality speakers, venues or sponsorship deals. It could be useful to set yourself goals in each of these areas to ensure that everything is covered. Your target audience should be front of mind at all times. If you’re marketing your event to the wrong people then how can you expect anyone to show up? A lot of event organizers will already have a pretty firm idea of their target audience. But one method that can help dig deeper into the thought process and general interests of your audience is setting up buyer personas. The more real data you use, the more accurate your personas tend to be. But that doesn’t mean you can’t make informed assumptions; these can be crucial in discovering your audience’s thought patterns. For example, if you were targeting business owners you could assume that they usually get to work early. From here, you could put together a strategic email campaign that arrives in the inbox of business owners first thing in the morning. The more detailed you are with your personas, the better. One of the biggest mistakes you can make is choosing just one platform to promote your event. In order to reach every corner of your target audience you need a fully-integrated campaign that makes use of a range of online, offline, inbound and outbound marketing techniques. Keep in mind your buyer personas and which channels they’re more likely to be hanging out on. Of course, the most effective techniques vary from industry-to-industry but these are some of the most common channels used for event promotion. If you have a low budget then putting together an organic social media campaign is just what you need. Spend time putting together a calendar of posts across all your social channels, starting with the official announcement and covering everything up to the post-event updates. Don’t go overboard with the posts, but make sure there’s enough that people will hear about your event. Posting once or twice a day on each platform should suffice. Research any relevant, popular hashtags or influential accounts that you could tag in your post too. This kind of outreach tends to work best on Twitter, simply because it’s so easy to engage with other accounts. For added impact why not set up a Twitter List of accounts that have a similar audience to your event and engage with their posts? If you regularly like, retweet or comment on their posts they’ll be more inclined to return the favor. You could also set up a unique event hashtag. This adds to the whole branding of the event, but it also gives attendees a central timeline in which they can check for updates and conversations surrounding the event. Ensure that you include your hashtag on all event promotion, otherwise it will just get lost amongst the noise. On top of your organic social posts, it could be an idea to put some advertising budget behind your event. Whether you simply want to ‘boost’ the most popular social posts or put together a tailored advert, your options are open. The great thing about social advertising is that the budget is entirely up to you; you can invest anything from £1 upwards (although this won’t get you many results). We’d advise choosing one or two platforms to advertise on, looking at where your audience is most active. Instagram and Facebook’s ad platforms have the most functionality, and you can even build your campaigns around specific goals, for example brand awareness, conversions or video views. In terms of advert copy it really depends on your objectives. Ensure the copy is enticing, relevant and gets across the most important information. Your visual assets are just as important as your copy, if not more. Formats that work well include quotes or testimonials with an image in the background, videos, GIFs, or anything else that’s interactive and captures people’s attention. If you’re hosting a music event you could even put some budget behind the flyer – how excited do you get when you spot your favorite act on an event flyer? Creating a customized website can add an extra sense of professionalism to your event. If you’re on a smaller budget this may not be a priority, but it really makes a difference. You can also reuse the website if you run the event again in the future. Ensure that your home page includes a compelling description, act/speaker pictures and bios, event videos, a ‘Register Now’ CTA and possibly a quote from a well-known brand or public figure. It could also be useful to have a separate page where attendees can discover more about each individual speaker. You could even host an onsite blog and invite speakers to write guest posts in the build up to your event. PR goes a long way with events, but it’s all about finding the right story. Maybe your event is the first of its kind? Is there a well-known celebrity performing? Did last year’s event attract a record number of attendees? From here, you can put together a press release around your story and send it to any relevant press contacts. If you don’t already have a PR contact list, it could be wise to spend a few hours researching relevant publications and contact emails. Hunter.io is a great tool for this research. Don’t restrict yourself to just online news outlets though; radio, TV, newspapers, podcasts etc. are all great ways to spread publicity for your event. Flyer distribution is still an effective form of event marketing. The only downside is it’s difficult to accurately track ROI. Taking a strategic approach to this will ensure that you only target outlets that align with your event branding. But if you’re not too precious about brand equity and simply want to raise awareness for your event, you could visit shops and businesses near your venue and ask if they will stock some flyers, or even put one in their window. We’ve previously highlighted how effective influencer marketing can be in the business world, and this is no different with events. If you have any high-profile speakers or performers in your line-up then make the most of this! Ask them to share the event flyer and post a short video to their social channels announcing their involvement in the event. You could even offer them a small commission on top of their speaking fee as added incentive to get their followers down to your event. Some events take a similar approach to this with attendees. Offering attendees an affiliate code, whereby they receive a commission every time someone buys a ticket through their unique link, can be a huge incentive. Just imagine if you could turn up to your favorite premium event without having to spend a penny on it! Email marketing plays an integral role in the promotion for a large majority of events. It can be used for everything from announcing your event and keeping attendees in the loop with speaker updates to sending ticket confirmations and follow-up emails. Platforms such as Mailchimp or Dotmailer are easy to use and provide great functionality. Ensure that you include attractive subject lines and a relevant sender email, otherwise you risk your audience missing it completely. It’s also important to bear in mind email marketing rules and regulations, for example the anti-spam laws. This can be an effective way to spread the reach of your event using organic listings, especially if your budget doesn’t allow for a full website. Platforms like Eventbrite and Meetup are popular organic listings for local events, especially in the business world. If you have a business page on Facebook then it could be useful to set up an event page too. You can use this to invite your connections in the form of a Facebook notification – this is a lot more direct than simply putting out a social post. Every time someone clicks onto your social profile it’s an opportunity to promote your event. Adding an event link across all your social bios will literally take seconds, and if you have a high amount of traffic to your social pages it really pays off. Pin a popular event sign-up post to the top of your Twitter and Facebook pages for added impact. Why not try something more out-of-the-box such as live video or stories? There are tons of live streaming platforms, many built into popular social media channels like Facebook and Instagram. Using this feature to give exclusive behind-the-scenes insights can be the perfect way to build a sense of excitement amongst your fans. You can do a similar thing with the ‘Stories’ features across your social channels too. How many emails do you send a day? 10? 50? 100? Every email that you send is an opportunity to promote your event. Simply add a link to your event, ideally with a CTA and image, to your email footer. Every time you send an email to someone, you’ll also be sending them an invitation to your event. There’s no greater feeling than coming to the end of a successful event; months of intense preparation and sleepless nights all pays off. But this isn’t the end of your marketing campaign. You should follow up with attendees, reminding them how much of a great time they had and teasing your next event. There’s several ways that you could approach this, whether it’s in the form of a summary blog, follow-up email or some engaging social posts. One other effective tactic is creating a Facebook album with any event photos and sharing it on the Facebook event page. From here, you can encourage attendees to tag themselves in the pictures. Earlier in this post we highlighted the impact of an integrated campaign and this is no different in your follow ups. Why not include a link to your Facebook photo album in the follow-up email? There really is so much that you can do to promote your event. Once you’ve established your goals and target audience, it’s up to you to be as creative and strategic as possible. Don’t be scared to step out of your comfort zone, as these campaigns are often the most effective. Do you have any event marketing tips and tricks? We’d love to hear them in the comments! About the Author: Lee Fuller is an enterprise level marketer that operates as the Co-Founder & CEO of Leeds-based digital agency, Flaunt Digital. 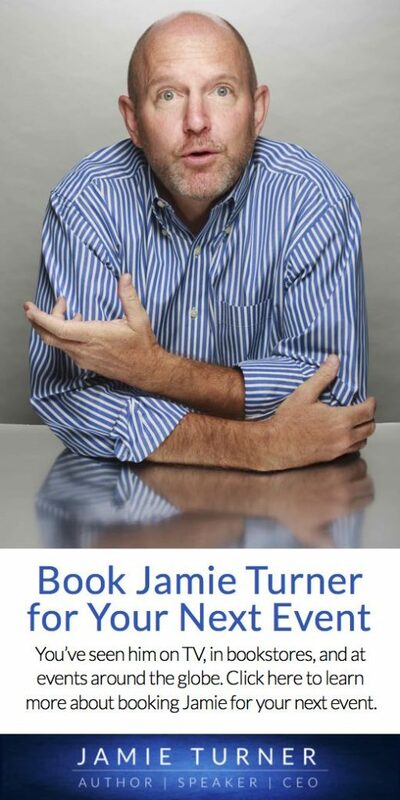 He’s worked with a range of global clients including the likes of The New York Times.